Short Business Description: R2R Strategic Recruiting is a non-traditional talent acquisition consulting partner to Hiring Managers, Recruiters, HR Leaders, and Job Seekers. Dedicated recruitment resource to deliver quality talent. Informational training that enhances hiring knowledge and results. Talent acquisition strategies for companies to deploy. Job seeker resource to enhance the job seeking process. Loving what we do and helping others along the way. R2R Strategic Recruiting is a non-traditional talent acquisition consulting partner to Hiring Managers, Recruiters, HR Leaders, and Job Seekers. Specializing in delivering Talent Acquisition recruiting, strategies, and training. Our diverse industry experience expands from tech, engineering, manufacturing, banking, sales, retail, education, and beyond. Recruiting: Manage your time efficiently. Let us assist you to discover emerging talent that will best fit your team. Consulting: We will guide you towards sophisticated recruiting strategies, eye-catching branding, and provide engaging support for your entire company. Training: Invest in your future. Train with guidance that enhances your recruiting knowledge, tools, and approaches. Job Seekers: Let us help you land your dream job with resume construction, interview advice, and ideal job listings. Short Business Description: Action Employment Services Inc., is a professional recruitment and placement firm that has been successful by building long-term relationships with both employers and candidates, based on integrity, teamwork and support. We are dedicated to bringing our clients diverse talent to meet their staffing needs, and to be a true advocate for job seekers! At Action, we believe we have 2 clients the Candidate seeking work and the Employer looking to hire. We partner with the hiring manager and help them develop a successful hiring profile for the position they are looking to fill, including wage, position title, position duties and time frame to fill the position. We do in depth one on one interviews and find out the candidate’s strengths and what really makes them happy in their career. We listen to what the candidate wants and place them in positions that meet their short and long- term goals, which results in long term placements. We will be celebrating our 19th year in December 2018! We staff a wide-variety of office roles, such as Project Assistants, Administrative Assistants, Office positions including Receptionist, Accounting and Human Resources. We will also assist with other positions per special request. Most importantly, we are here to be a sincere partner to HR and Hiring managers- when finding good talent requires more time and resources than you may have! We honor our name; acting quickly and diligently to assist the needs of our clients with ease. 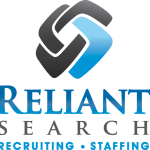 Short Business Description: Reliant Search is a boutique recruiting and staffing firm offering temporary and direct-hire placement. We specialize in Human Resources, Accounting, Finance, Payroll and Administrative jobs in the Portland / Vancouver area. Reliant Search opened in 2003 and we are a local, women-owned, small business. WBENC and WOSB Certifications. We focus on fit, which means we look for professionals with the right mix of skills, experience, and personality fitting a client’s job and culture. We want to understand what makes you unique because we believe successful placements are the result of careful matchmaking. Apply today to advance your career tomorrow. We are a local, full-service recruiting, contract staffing and career transition-outplacement consulting firm. We specialize in placing professionals and leaders in the Human Resources, Accounting, Finance, Administration, and Operations functions in Portland and throughout the Pacific Northwest. We have an experienced team with a proven track record of success for more than 25 years.